Recent progress towards the development of lightweight, flexible, wearable, and foldable portable electronics has promoted the increasing demand for high-performance substrates. However, eco-friendly materials with low cost and remarkable performance are still under investigation. In this study, a kind of lightweight, flexible, and electrically conductive multi-walled nanotube (MWCNT) and a few layered graphene (GR) reinforced hybrid recycled papers were obtained by a facile and scalable papermaking process. The influence of nanofiller type and concentration on the mechanical, electrical, thermal performance of the nanocomposite paper were investigated. Fourier transform infrared spectroscopy and Raman spectroscopy revealed the formation of molecular interactions between the MWCNTs, GR, and the cellulose fibers. 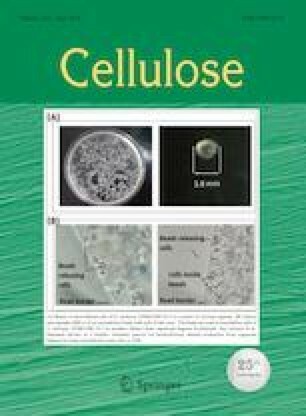 Scanning electron microscopy proved the continuous network of nanofiller phase within the cellulose matrix. Tensile tests revealed that the tensile strength of MWCNTs reinforced recycled paper increased about 276%, while the GR reinforced recycled paper exhibited the highest Young modulus with 425% increase compared to the neat waste paper. The highest electrical conductivity was measured around 0.219 S/cm for the GR/CNT10 hybrid recycled paper. A positive synergetic effect of the MWCNTs and GR nanofillers was observed in the case of hybrid nanocomposite papers. More importantly, adjusting the microstructure of the waste paper with the introduction of carbon-based 1D/2D nanofillers led to higher improvement in the mechanical properties, electrical conductivity, thermal conductivity. These regenerated properties made the hybrid nanocomposite paper a promising substrate material with considerable potential applications for various flexible and portable electronic devices. The online version of this article ( https://doi.org/10.1007/s10570-019-02339-7) contains supplementary material, which is available to authorized users. The authors are grateful to the Canakkale Onsekiz Mart University Scientific Research Council for its financial support under the contract FYL-2016-948. Technical support from the Canakkale Onsekiz Mart University Science and Technology Application and Research Center (COBILTUM) is much appreciated.